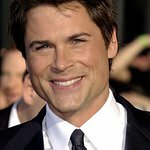 The Melanoma Research Foundation (MRF) and Pale Girl SPEAKS have announced that skin cancer survivor Sheryl Lowe and her husband, actor Rob Lowe, will co-chair the second annual Miles for Melanoma 5K Run/Walk at Universal Studios May 4th, 2013. Pale Girl SPEAKS is a social networking movement dedicated to raising awareness and preventing melanoma which was founded by Hillary Fogelson. Fogelson and her husband, Universal Pictures Chairman Adam Fogelson, are co-sponsoring the 5K for the second year in a row, and Universal Pictures is a sponsor. All proceeds from the event go to the largest independent organization devoted to melanoma education and prevention, the MRF. The announcement was made last week by the MRF’s Executive Director Tim Turnham and Pale Girl SPEAKS’ Hillary Fogelson. Celebrity Friends of the 2013 Miles for Melanoma 5K Run/Walk at Universal Studios include Judd Apatow, Sean Astin, Elizabeth Banks, Jason Bateman, Jason Biggs, Soleil Moon Frye, Anne Hathaway, Dwayne Johnson, Blake Lively, Jeannie Mai, Kellie Martin, Leslie Mann, Tia Mowry Hardrict, Tamera Mowry-Housley, Ryan Reynolds, Fred Savage, Molly Sims, Ryan Seacrest and Jeremy Renner. 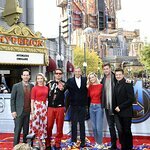 Participants in the 5K Run/Walk at Universal Studios will experience many of the iconic motion picture scenes that populate the Universal Studios backlot including Amityville Island from Jaws, Spartacus Square, the War of the Worlds plane crash and the village of Whoville just to name a few. With their “Style Experience” tent for all participants and volunteers, Style Network, through their “Fight with Style” skin cancer prevention initiative, will provide free skin damage assessments by estheticians, sun protection products and skin care tips for all attendees. There will also be several sponsored booths with free samples, skin checks and tips on how to face the sun safely, popular food trucks including The Green Truck, PerkUp and Crepe’n Around, Minions from Despicable Me and one of the cars from Universal’s upcoming movie Fast & Furious 6. The Street Team from the MLS Cup Champion soccer team LA Galaxy will be on hand with games and prizes for soccer fans as well as the a capella supergroup Level. This year, Pale Girl SPEAKS, Universal Pictures, Style Network, Amgen, The Angeles Clinic and the Los Angeles Times return as event sponsors. New sponsors include Bristol Meyers Squibb, Novartis, Genentech, ICM Partners, MD Solar Sciences, Joe Shade, UPF Sunshop, SPF Addict, The Rox Cancer Center and the LA Galaxy. The inaugural Miles for Melanoma 5K Run/Walk at Universal Studios was a huge success, bringing in over 1,000 participants to the Universal Studios backlot and helping to raise more than $200,000 for melanoma research, advocacy and education. Top fundraisers and team builders for this year’s 5K are eligible for a number of exciting prizes and incentives, including: Three diamond necklaces from Maya Brenner Designs, four tickets and front of line passes to the Universal Studios Hollywood Theme Park, Universal Pictures Centennial DVD Box Set, the Universal Monster DVD Box Set, as well as gift baskets from Coca-Cola and sun-safe clothing company Mott 50. •	Register for the Miles for Melanoma 5K to be held at Universal Studios in Hollywood on May 4th, beginning at 8:30 a.m.
Visit the MRF’s Miles for Melanoma website for more information about special guests, prizes and activities during the event.